The natural beauty of the region will amaze you while the magic continues in the halls of Chloe Hotel. The cosmopolitan environment with flawless esthetics balances perfectly between classical and minimal. The spacious rooms and suites with their unique esthetics and modern character offer the guests exceptional comfort combined with high technology. Furniture of classical style and warm earthy colours blend elegance and discreet luxury with an aura of nobility from the cozy café-bar to the luminous dining room. Breakfast at Chloe Hotel is a unique experience with endless flavours of an American buffet along with other relishes including authentic home-made marmalades, sweets and pies. 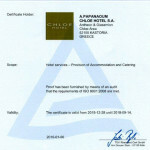 With its uncompromising level of accommodation and service of a 4 star hotel it is not coincidental that Chloe Hotel is recommended by all the recognized guides as one of the leading choices for holidays in Greece. An amazing place but above all extraordinary people, my friends anymore. 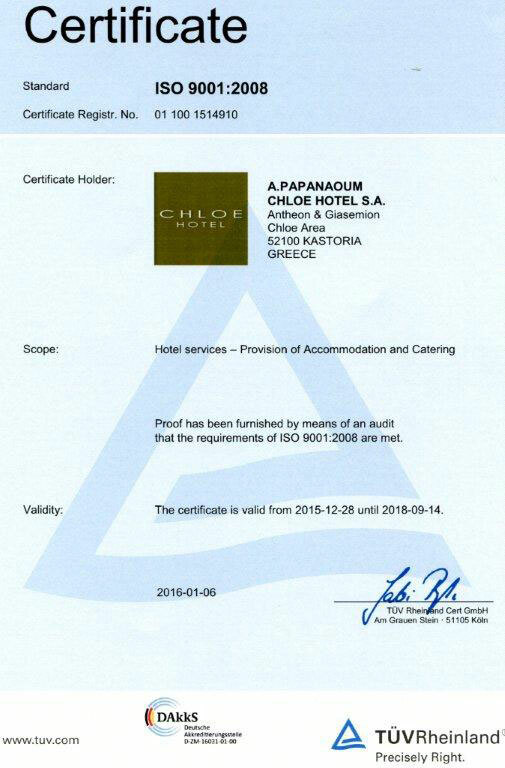 Kastoria is a beautiful city but ” Chloe ” is the diamond. Margarita and to all of you be always well! We travel a lot with the band and see many … too many hotels. Perhaps CHLOE is one of the best. Clean, Quiet and elegant! Οffered to us the rest we so needed. Your hospitality and your level of aesthetics, make us to come again and again and again. Rare to find hotels like yours. Thank you for everything !!!!!! For the beautiful places, the smiling faces and the great hospitality, I’d like to come back soon, thanks.